For winning this months prize!! Enjoy your free gift from Designer Cakes! Don’t miss this Months free giveaway! 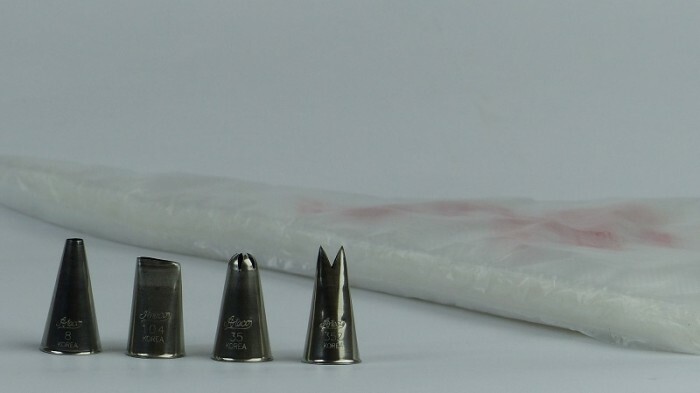 Four brand new ATECO icing tips and 25 pastry bags completely FREE! If you don’t have any icing tips or have some but could use some more, this prize is for you! TIP: All of the icing tips I use are either ATECO or WILTON. If you’re looking to purchase your own, I highly recommend them. They don’t rust or stain like the cheaper brands, and they last for a very long time. They are also seamless so your results will be a lot more professional. AND 25 disposable pastry bags to get you started. Just look out for our email at the end of the Month to see if you won!